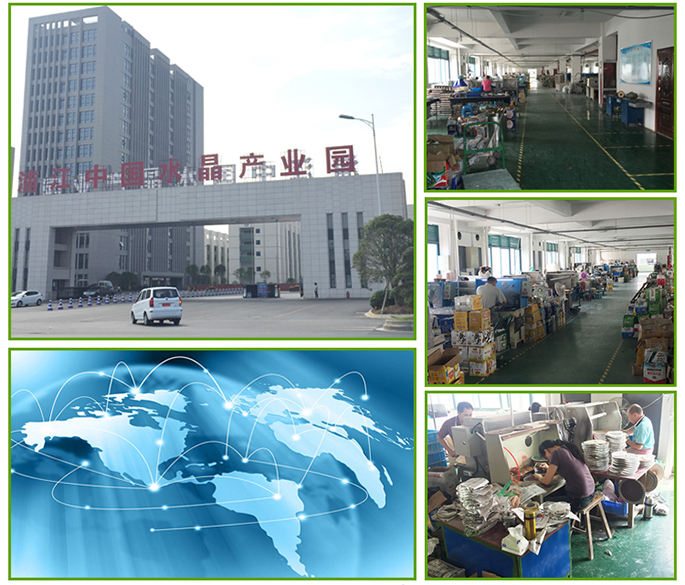 Jinhua Miyue Crafts Co.,LTD is based on Pujiang City, Zhejiang China. We have over 15 years of experience in making and designing crystal gifts and awards. With abundant professional technican and advanced craft equipment, we will finish your orders and speedly deliver them to you in time. Following is crystal crafts’ processing steps. Cutting, faceting, polishing, hole drilling, graving,vacuum colorpainting, computer design, laser engraving, sandblast engraving etc. We are mainly produce Crystal awards, crystal laser engraving, crystal ball, crystal clock, crystal keychain, crystal picture frame, crystal ornaments, crystal beads and so on. What you will get if you choose us? 1) Listening what you want to make. 5) Excellent service and Best quality.